Ritish Patnaik, a junior majoring in biomedical engineering, has received a prestigious Barry Goldwater Scholarship, awarded for undergraduate excellence in mathematics, science, or engineering. Goldwater Scholars are selected for their outstanding academic achievements and via nominations by professors of their respective universities. The competition only allows four nominations per university, and of the four from Columbia, three were honored. The new class of scholars also included Columbia College junior Brian Trippe, a double major in biochemistry and computer science, and an honorable mention for fellow SEAS student, Sarah Berlinger, a chemical engineering junior. Even as a kid, Patnaik already had a clear idea of what he wanted to be when he grew up. Patnaik continues to work hard towards his career goal of becoming a university research professor. In the Molecular and Microscale Bioengineering Lab, directed by Associate Professor Samuel Sia, Patnaik has been working on the development of a low-cost microfluidic diagnostic platform to test for diseases prevalent in low-resource settings. In high school, he was introduced to biological research through summer internships at the Harvard Stem Cell Institute in Cambridge and the University of Texas Southwestern Medical Center in Dallas. Patnaik intends to pursue a PhD in biomedical engineering with a focus on designing diagnostic and therapeutic devices. His parents are a huge inspiration. Sarah Berlinger, junior in chemical engineering, is recognized with an honorable mention. Berlinger intends to devote her career to helping solve global energy challenges through renewable and sustainable engineering. 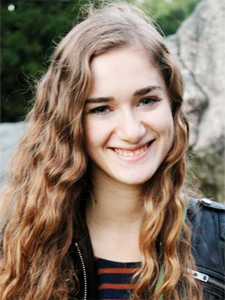 “I have personally been attracted to global health technologies since high school. My parents come from a part of India in which many people do not have access to medical supplies or technology, and I wanted to help solve this issue,” he says. “After coming to Columbia, I got heavily involved in Professor Sia's global health diagnostics projects and Columbia’s Engineers Without Borders chapter.” And last fall, this same dedication to global health motivated Patnaik to participate in the Ebola Design Challenge, sponsored by the Engineering School and Mailman School of Public Health. Patnaik and his teammates developed the Ebola SafeSuit, an innovative hazmat suit that integrates cooling, hydration, ventilation, and sweat regulation systems to provide comfort and protection for medical staff treating patients in rural areas. The team continues to further develop and fine-tune their prototype. Ever busy on the research front, Patnaik, who recently has been selected as one of 20 MIT-Amgen Scholars from a pool of over 1,000 applicants, will spend this summer in Cambridge conducting biomedical engineering research at MIT. The Amgen Scholars Program provides select undergraduates with the opportunity to do hands-on research at leading universities in areas such as biomedical engineering, biochemistry, immunology, and neuroscience. 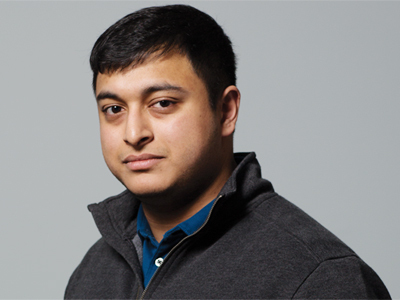 In addition to his coursework, his lab work, and the Ebola SafeSuit project, Patnaik is also heavily involved as the vice president of Columbia’s Biomedical Engineering Society, the editor-in-chief of the Columbia Undergraduate Science Journal, and an associate consultant at the Harlem Biospace. As a future university professor, Patnaik envisions opportunities to not only conduct important research but to also serve as a mentor to budding engineers. The Goldwater Scholarships are named after the late U.S. Sen. Barry Goldwater and designed to foster and encourage outstanding students to pursue careers in the fields of mathematics, the natural sciences, and engineering. This year, 260 scholars were selected from a field of more than 1,200 mathematics, science, and engineering students.